Discussion in 'Star Trek: Discovery' started by TrickyDickie, Feb 9, 2019. Not to mention the Enterprise swooping in, then being followed up with a "all systems failed!" distress bit. ...and the power still appearing to be on. Hopefully some systems are redundant and maintained by ships batteries or the like. You know, like life support. I just threw that in because other folks have actually complained about it. 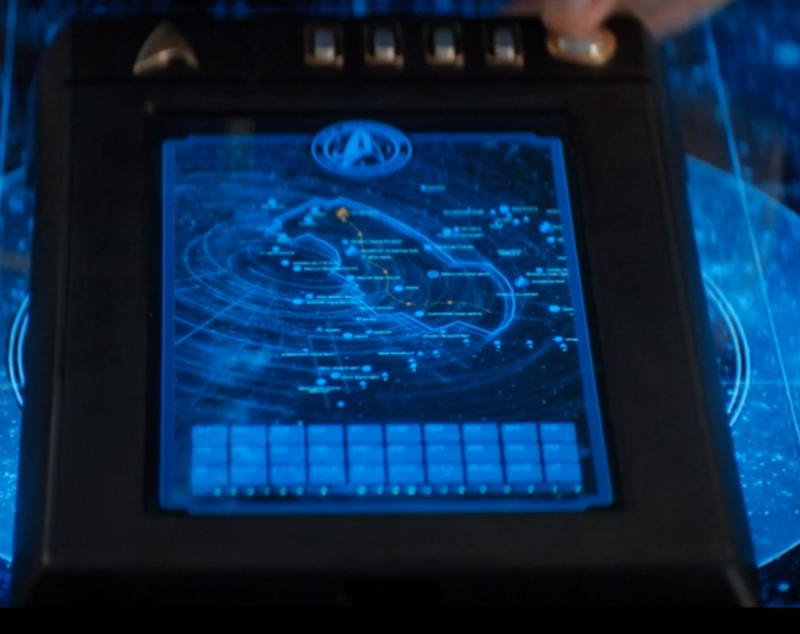 My personal reasoning is that the ships systems were probably fluctuating just like when the Enterprise-D was infected with the Iconian Computer Virus. I figured that since there's such a large volume to the interior of the Trek ships, that is would take at least a couple of hours for any noticeable effect from reduced life support operations. Ronald Held and fireproof78 like this. I figured that sine there's such a large volume to the interior of the Trek ships, that is would take at least a couple of hours for any noticeable effect from reduced life support operations. Begs the question that if life support did start to fail could one last longer in the hydroponics bay? If it could be sealed off from the rest of the ship, I would imagine the answer would be yes. Now I'm imagining a ship scuttled but a survivor stays onboard and lives in the botanics lab. Eventually, the plants take over the ship. I wonder if Saru's plants in his cabin would do the same? By regulation, every cabin must have at least two plants. Been watching a lot of the elaborate fan productions lately. They go to great length to match the original visuals and they do a hell of a job. But I have come around to the idea that from 'The Cage' onward, everything we have seen is a particular era's representation of the future. Each era has the right to make its own update, as we get closer to that future. In 50 years, if Star Trek is still around, they will be updating the look of USS Discovery and USS Enterprise, both. It doesn't mean that representations from earlier eras will disappear. They will always be around. burningoil, JoeP, Keeper and 1 other person like this. That is a part of art. I understand that it isn't everyone one's cup of Earl Grey but Star Trek isn't just a possible future-it is humanity's possible future and each one is going to need that update to attract a new audience. And, if slavish adherence to visuals and technological conceptions are necessary then I will suggest that Star Trek has outlived its usefulness and CBS would do well to move on. BeatleJWOL and JoeP like this. Well, I get tired of this. The reason is plainly simple: candy-colored buttons, cardboard sets, gooseneck viewers, etc. will NOT work with today's audiences. We all need to get used to some re-imagining here. And this comes out of the mouth from someone who was against the ropes about ST09 and isn't crazy about STID. Yes they did re-imagining, but DSC has done it VERY tastefully, in my opinion, with a good deal of class that the JJ-movies lacked. JoeP and Turtletrekker like this. Imagine how pissed Mirror Lorca would be with that extremely bright white JJ-bridge. BeatleJWOL, Hythlodeus, Turtletrekker and 2 others like this. That ship sailed in the 1990s when Khan and the Augments didn't take over the world. And it will keep sailing when those of us still alive in 2063 will wonder where our warp drive is. To be fair, I sort of blame Nick Meyer for definitively setting TOS in the 23rd century in Wrath of Khan. The actual TOS bible dictated to use stardates specifically to avoid real world dates, and Space Seed before Wrath of Khan was a fluke that could have been swept under the rug. But with that movie making Space Seed's dating the centerpiece of the entire franchise, any illusion of Trek being our future was permanently lost, and will get more lost the farther we get in our real world time. Personally, I wish they had just dated all years to BF/AF (Before Federation/After Federation). That way Star Trek would forever have been in our perpetual future. JoeP and lawman like this. Indeed, yes, but that conceit is still apart of the fundamental aspect of Star Trek, and many different things have showcased that idea. So, part of the idea is to utilize contemporary understanding of technology and applying it going forward. Been done before and it will be done again. Better get ready for mostly blue computer interfaces I guess. I'm hoping for mostly yellow. Also, why does Number One have a map to Luke Skywalker on her PADD? Exact replica of the 60s set. It looks ridiculous given today's standards of FX. Haha, but wouldn't this look violate "canon," too? _Enterprise_ of "The Cage"/DSC era (if we are disregarding 1960s available budget and effects like they want) had the reading lamp-looking viewers at bridge stations, clear plastic communicators, paper printers, and random yellow shirts holding actual clipboards with papers to be signed. The Kirk-era TOS look ought to be too late and too high tech for them. It requires as little as a few weeks difference in setting to justify the variations in appearance of the Enterprise sets in "The Cage" and in "Where No Man Has Gone Before." Ditto the pilot and production uniforms. That future's so bright he's gotta wear shades. TrickyDickie, saddestmoon and Lord Garth like this.